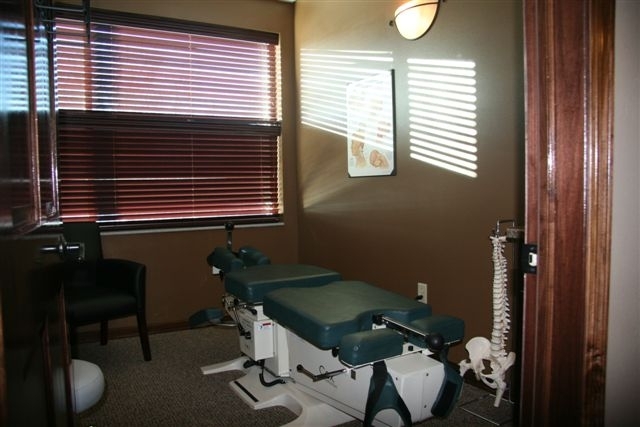 We have a specialized traction and flexion distraction table that can gently 'decompress' your spine. Think of this as gently stretching apart the bones and discs thus increasing blood flow and creating more space for the exiting nerves of your spinal cord. By reducing pressure and creating this space, we can release a "pinched nerve" or "locked joint" that is responsible for your pain. Click HERE to see a video from the inventor of this technique for further explanation. WHO IS A CANDIDATE FOR THIS TECHNIQUE? Cox Traction is a gentle technique that is mainly used on the lower back but can be done on the neck as well. We often use this with bad discs, which often result in not only back pain, but leg symptoms as well. We also see a large number of patients who suffer from spinal stenosis who do very well with this particular therapy. We also use traction in cases where the patient cannot be manually adjusted, whether due to surgery or other factors, or even if the patient simply does not like to be manually adjusted. The far majority of people typically love the way this therapy feels, as the gentle stretching allows for complete relaxation in addition to significant pain relief.